Honey bees are not these helpless tiny insects that we may believe them to be. They have been seen to give themselves "medication" when they are attacked with pathogens. Scientists are intrigued by this behavior. Michael Simone-Finstrom at North Carolina State University led a study about this strange behavior. He concludes: "The colony is willing to expend the energy and effort of its worker bees to collect these resins. So, clearly this behavior has evolved because the benefit to the colony exceeds the cost." Both wild and domesticated bees fill their hives with propolis. Propolis is a mixture of plant resins and wax. Bees increase the amount of propolis used by 45% when they need to use the propolis against the potentially deadly fungus. 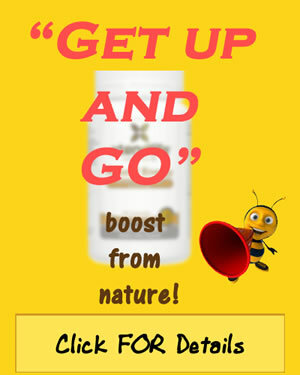 Scientists say that propolis is a very good antifungal agent. Some larvae get infected by the pathogens. Bees get rid of them. These larvae are like factories that produce spores. Bees can also distinguish between the harmless and harmful fungus. When faced with a harmless variant, they do not use propolis. Instead, they remove the spores physically. Some colonies do not use propolis against the fungus even when they are infected. Simone-Finstrom says about the levels of propolis used by bees: "There was a slight increase, but it was not statistically significant. That is something we plan to follow up on." Basically, bees don't use propolis every time they detect a pathogen. Their full range of behavior still remains a mystery to be solved. Bees self-medicate 'when infected with pathogens'.